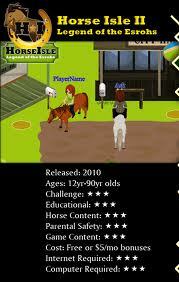 Here, I have decided to share with you some fun, free, online, horse and Friesian games for you or your family to enjoy! -> Click on the link in blue to access the games easily. 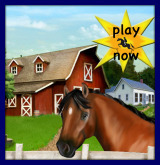 There are a wide variety of breeds and activities (competitions, exploring, catching wild horses, earning money...) to do while playing this game. It is free, but you can buy some bonuses if you want to. There exists Horse Isle 1 and Horse Isle 2, although I find Horse Isle 2 is better. 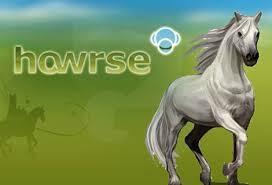 Howrse is an online game where you can run an equestrian center and breed and take care of your horses to get the one with the most potential, to get the best competitor. It is also free, although you can buy bonuses. Club Pony Pals is a fun, cute game where you can take care of your horse. It is oriented towards younger children but it is completely free. Charger Escape is a game where you have to help the horse escape by finding things around the stable and assembling them. It is completely free, but challenging and you may want to see a help video to figure it out! Show jumping is a fun game where you can train and jump your horses. You have to go through four levels before you finish the game.